Driving Under the Influence is different from other crimes in many important ways. For example, it's rather easy to determine when a bank has been robbed, but when exactly does a DUI occur? In Florida, the State will try to prove a DUI by showing the loss of normal mental and physical faculties due to alcohol, a controlled substance (including prescription medications), a combination of these substances, or by showing a blood alcohol level of 0.08% or higher. A DUI charge can have a very serious impact on your life. It can lead to lost job opportunities, loss of your driving privileges, and cause you great financial hardship. 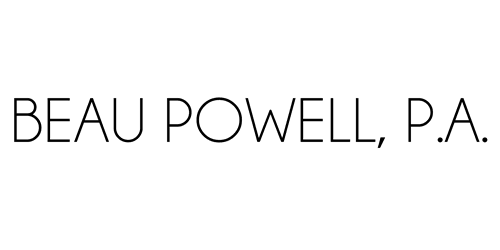 Beau Powell is an experienced trial attorney. He will fight your DUI case from the very beginning. He will look at all of the factors involved in law enforcement's subjective decision to arrest you and charge you with this crime. He will look at the traffic stop to determine if there was even probable cause to stop your vehicle. He will investigate what grounds you were detained by the police. He will look at every aspect of your arrest. He will meticulously review and challenge all of the statements made by any and all witnesses, the police reports, any video or photographs, the admissibility of breath or blood tests, field sobriety tests, and any interrogations by law enforcement. He will research your case thoroughly to build a strong defense. You have rights when charged with a DUI. You have the right to be represented by an attorney, you have the right to a bond in most cases, the right to a fair and speedy trial, the right to contest the charges against you, the right to question the evidence and the witnesses against you, and to force the State to prove all the elements of the DUI charge Beyond a Reasonable Doubt. Let us help you protect your rights. Do not let a DUI destroy your life. Help is just a phone call away!